Remember when I used to do wish lists all the time? Well, I'm back on the band wagon and I'm going to start a weekly wishlist. I mentioned this in my October Favourites that now that it's A/W I'm definitely going to be living in my black and grey attire. I really love trousers like these, I think they just look so smart but can also give you the casual vibe when dressed down plus it's a nice alternative to skinny jeans. Love posts like this, such a simple yet effective outfit! 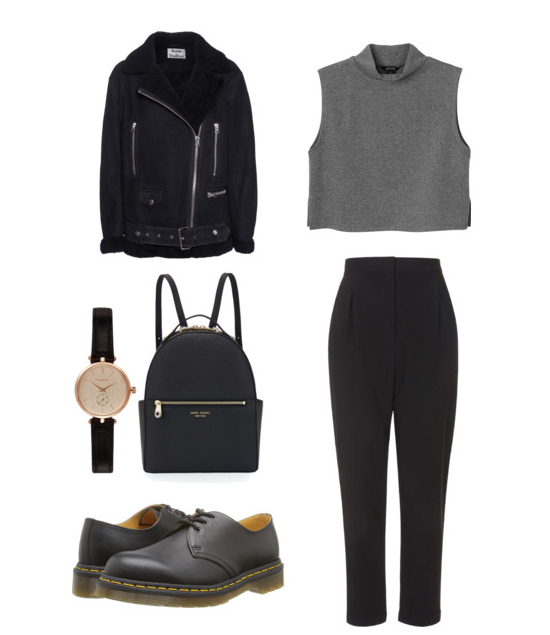 Love the backpack and doc marten's -- great style!